A whimsical fairy character for your fantasy artwork. Each has a unique pose. They are warm and expressive. The fairies in the promo images have been greatly reduced. A unique fantasy character for your designs. 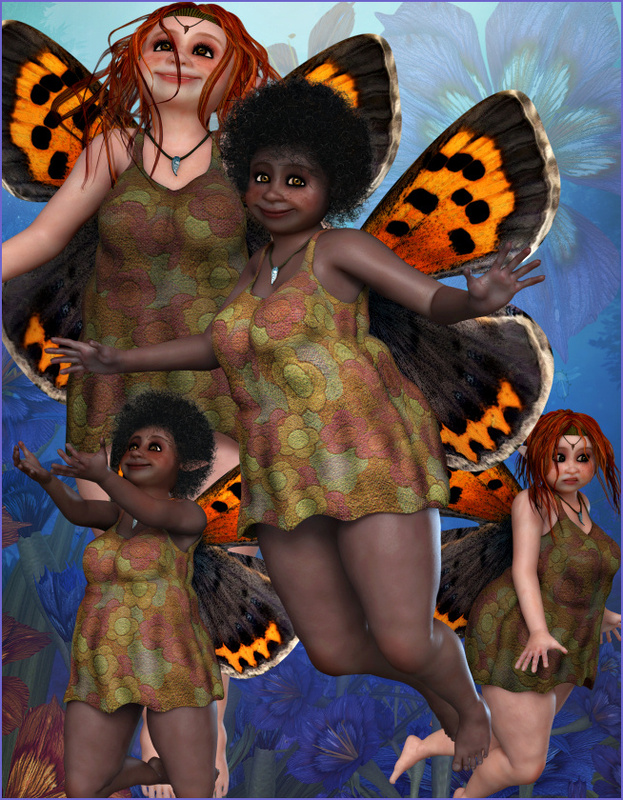 Tink Fairy Graphics–a unique collection of adorably chubby fairy stock images. They hold their own special charm and are certainly eye-catching. They hold a lot of warmth, which draws people to them. They will be great for all types of designs, but in woodsy autumn tones, they have a definite fall flair. Their monarch-like wings will help them chase the clouds through stunning horizons. Hopefully, they will inspire you and guide you to your creative dreams. There are 18 characters in all, which includes an African American version with a stunning afro which has some vintage allure. 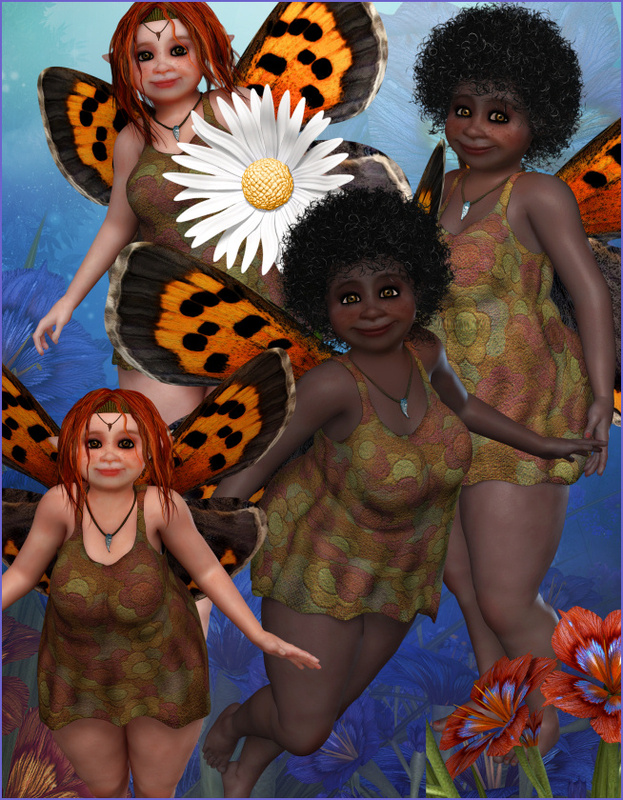 Let these cool characters cast some fairy magic that will help you make some stunning fantasy creations. This package also comes with the seamless tile on this page. The size of these images varies but they are about 1800 X 2400. All are 300 DPI, making them great for print projects. This package is one zip file, which is about 70 MB.